Does anybody know as my local motorcycle mot centre is not sure. When this vehicle is over 3 years old, will it ever need an mot, or is it only vehicles with an engine that need one? I see no reason why the Vectrix should be MOT exempt? Although it has no internal combustion engine, it still has other things that need checking and testing - lights, tyres, brakes, etc. Not sure how a standard test will work though as you can't exactly probe the exhaust pipe for emissions or test for noise. Yes - it requires an MoT. The only test that cannot be done is emissions - everything else is tested in the same way was other bikes, (brakes, lights, number-plate complance etc). The tester told me you still need to go to a BIKE testing station - I forget what class this is - and the standard fee of £38 is payable (probably increased by the time a VX1 goes in!). Just had the 1st MOT done on my Vectrix. Passed with no advisories and it was only £20. The official test fee is currently £29.65 for classes 1 and 2. Yup, just had my first one done (an it passed, thankfully). Info on MoT regs with respect to the V is hard to find. From what I can gather it DOES need an MoT - class 1 type test (the Vx-1 is classed as a 125cc). Class 2 is for larger capacity IC bikes, from memory over 200cc (yes... have look here http://www.ukmot.com/bike_index.asp ). Oh and mine too was the standard test fee of just under £30. I presume Vectrix's original thinking was that 'electric vehicles' do not require MoTs. 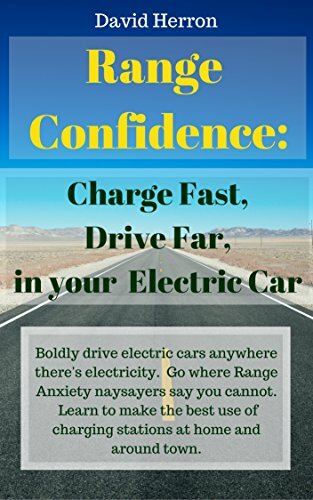 They were nearly right - electric vehicles that are fleet operated like milk floats and delivery trucks are exempt, as are recovery trucks and a few others besides. Maybe you ought to invest in a weekly pint'o'milk for the underseat compartment just in case you're pulled over for having no MoT... "Honestly, hossifer, I woz just hon mi'mornin raands..."
Just passed 2nd MOT today, no advisories. Currently on 15,500 miles (25,000km). Another MOT successfully passed with no advisories! Not done many miles since the last one, but a pass is a pass - not bad for a VX-1 on the original Ni-MH battery pack, 7 years since I took delivery. Pleased to report another MOT pass for my VX-1 yesterday. My 2 vectrix are on their 3rd ITV. Everything OK! Reviving an older thread. What do older VX-1s typically fail the annual safety inspection on? In the UK my 2008 VX-1 just recently passed the MOT again - although I only did 39 miles last year! My Vectrix (30k miles) had a brake disc wear advisory note - looking at the old MOTs. Wheel bearings had been replaced at a pre-MOT check. So these and tyre and brake pads are what to check. Maybe headlight alignment / beam pattern too maybe, especially if changed to LED.